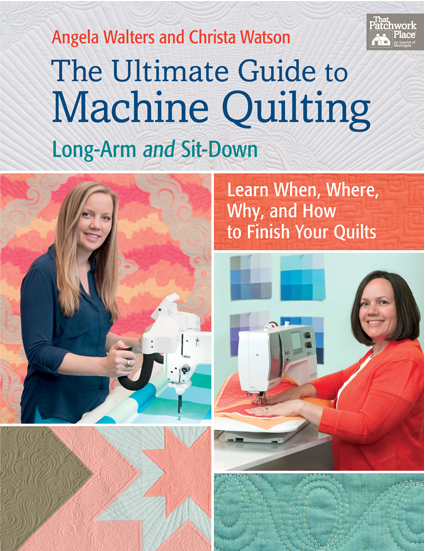 The format of this book moves fluidly between longarm quilting with Angela and sit down machine techniques with Christa. This creates a conversation between the experts and the reader. 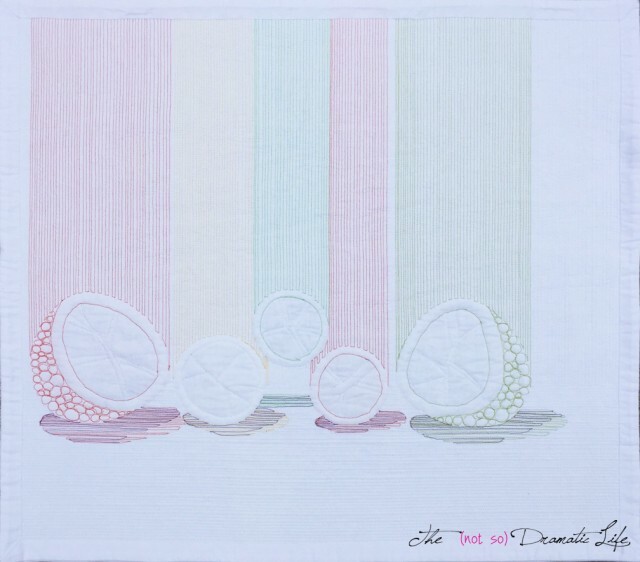 The projects provide a common starting point for each artist to demonstrate quilting options on their respective machines. 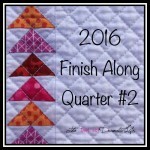 This is where things get really interesting- for each quilt pattern in the book we are given two possible quilting options. 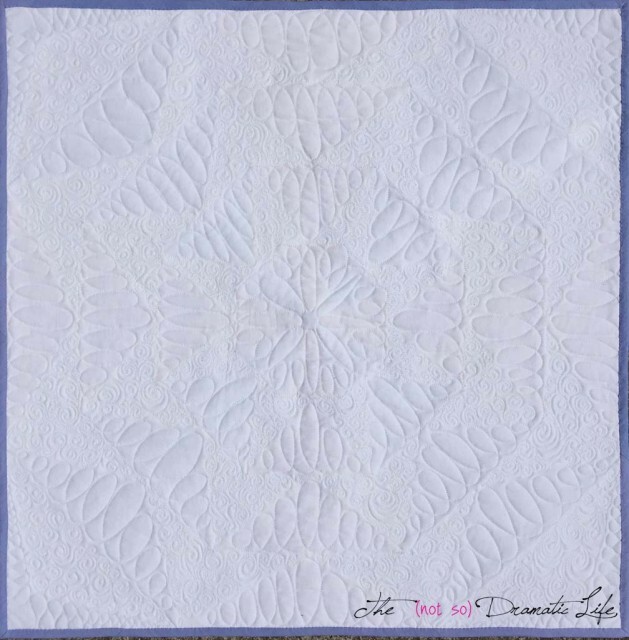 So many people worry about making the “right” choice when it comes time to quilt their painstakingly created quilt tops. 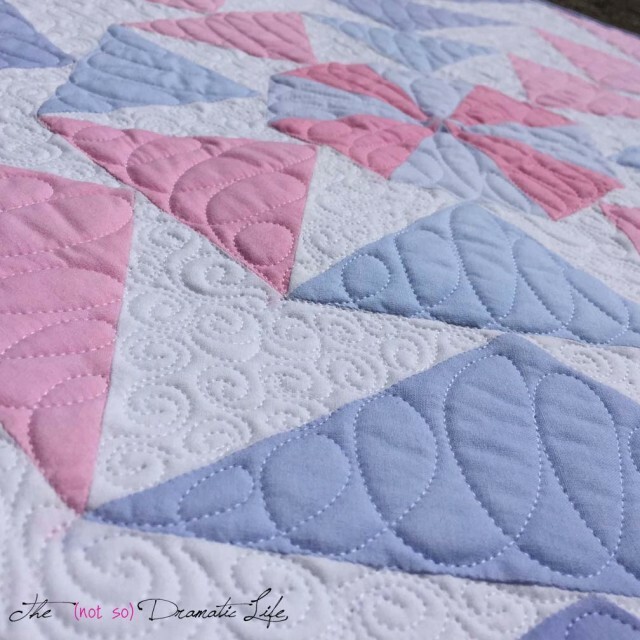 By showing multiple options for quilting the same top, the idea that there is only one correct design is thrown out the window. 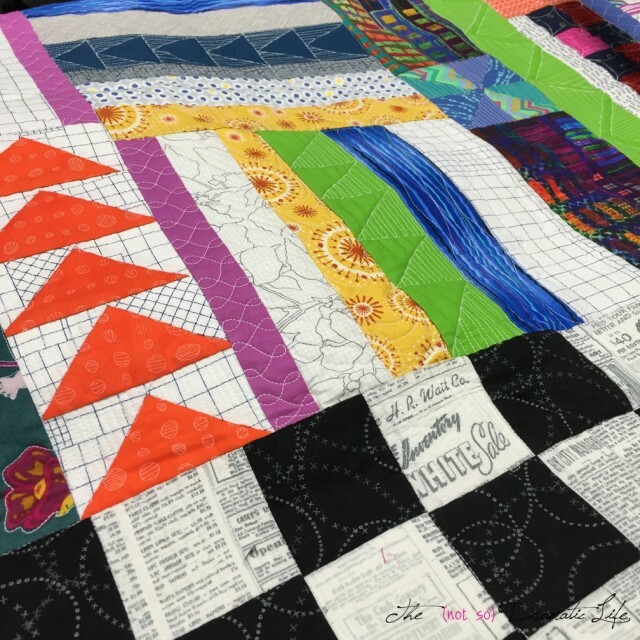 Beyond showing us quilting options, Christa and Angela openly discuss both the advantages and disadvantages of each type of machine. 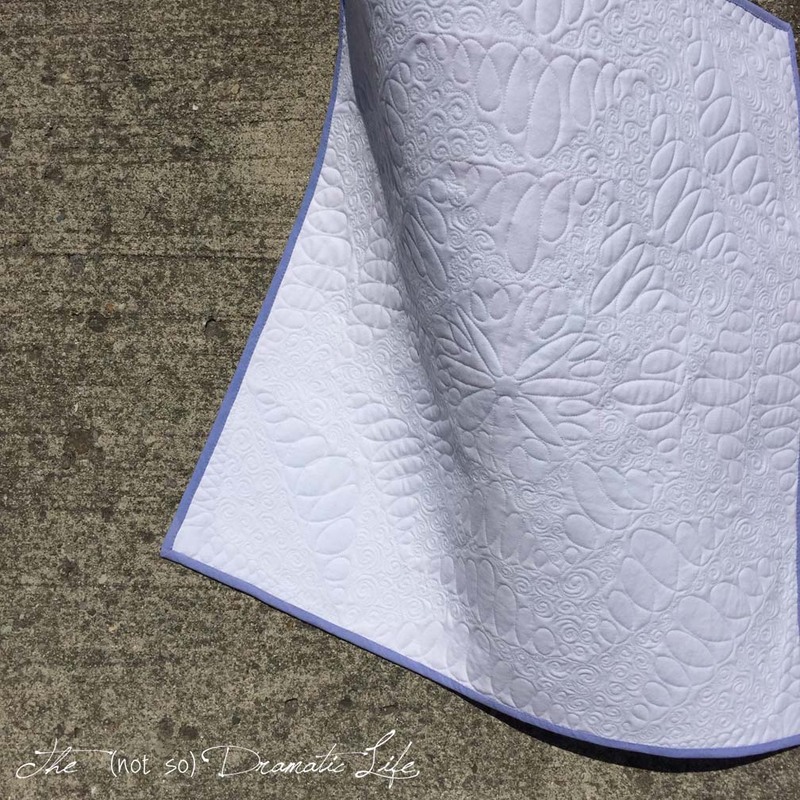 This is a topic that I have hardly ever seen discussed, and this is some seriously useful information for everyone who quilts. 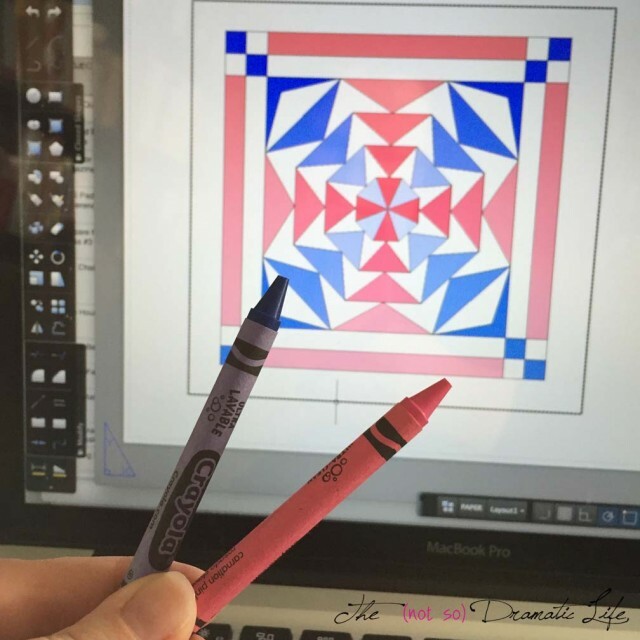 I love my longarm, and I do use it for almost all of my quilting, but if my sit-down machine would be a better option for a design that I would like to do, I’m going to use it instead. It can be really tricky to determine what is the best tool for the job, so it is exciting to see these comparisons included throughout the text. This information is valuable for everyone, even quilters who send their projects out to be quilted. Longarm machines do have some limitations, so this will help quilt top creators to have an informed conversation with their quilters. 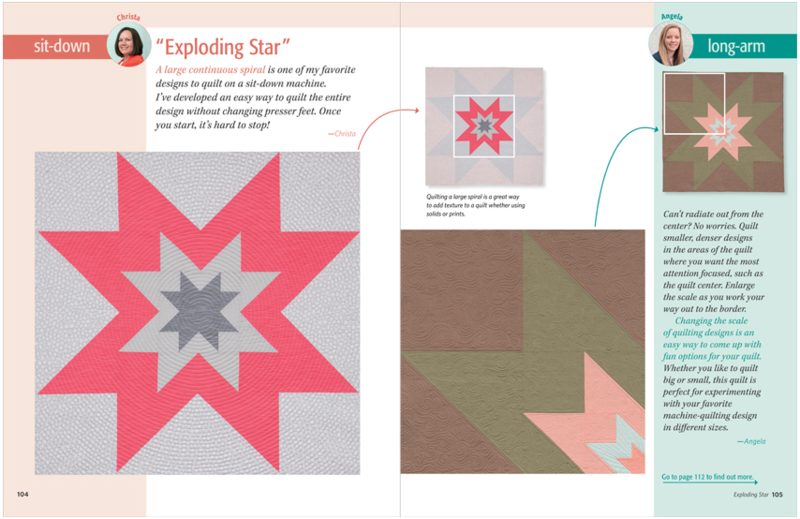 A perfect example of this is the “Exploding Star” Quilt on page 104. 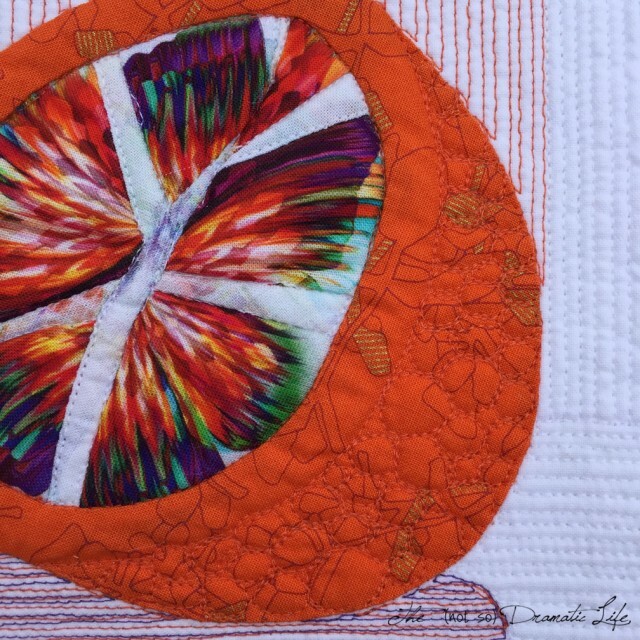 Christa quilts this project with large, stunning spirals, and then Angela tells you why a spiral design would not be the best choice for a longarm before offering up her lovely quilting options. Even more than the specific projects, I love the information at the beginning of the book and all of the fantastic tips in the sidebars of the pages. 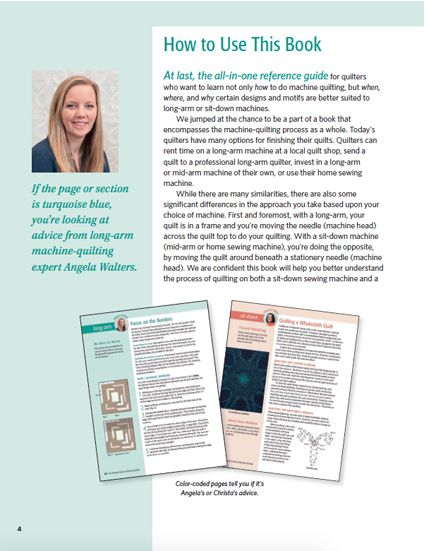 The first 19 pages are packed with information regarding the different machine types, thread options, tool recommendations, and general quilting tips. 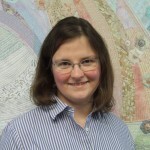 Then as you work your way through the book, the sidebars provide tips that specifically address the techniques and challenges presented in specific projects. 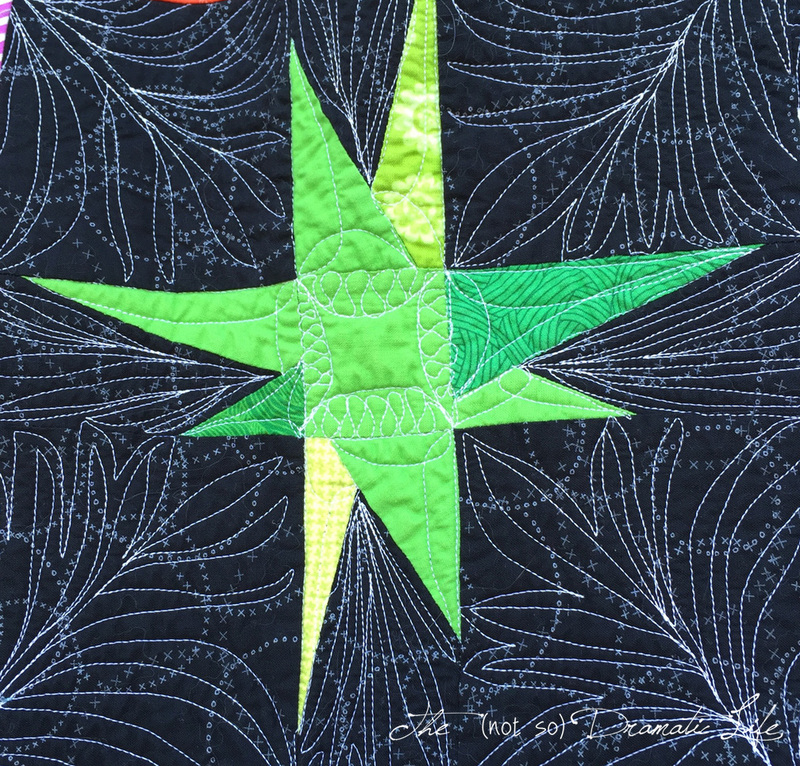 Directional quilting, thread amounts and weights, starting and stopping (or how to avoid it! 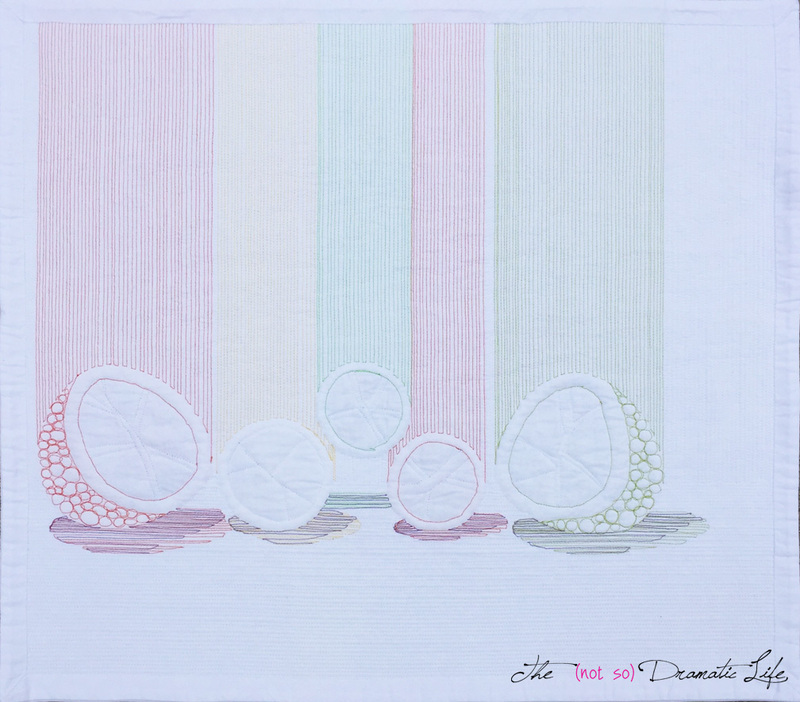 ), using two layers of batting, quilting fusible appliqué, and turning corners are just a few tips found throughout the book. Improv is one of my favorite techniques, and it was even more fun when we added a group of quilters and some time limits! 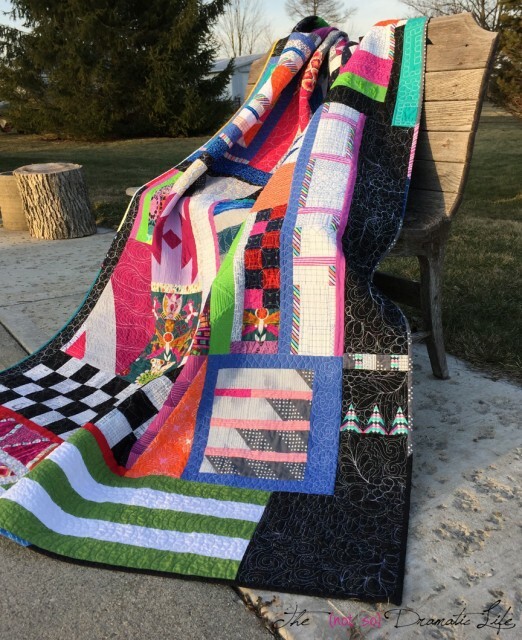 Last Fall, one of my local quilt shops offered a Round Robin Improv class that was loosely based on the book, The Improv Handbook for Modern Quilters: A Guide to Creating, Quilting, and Living Courageously, by Sherri Lynn Wood. 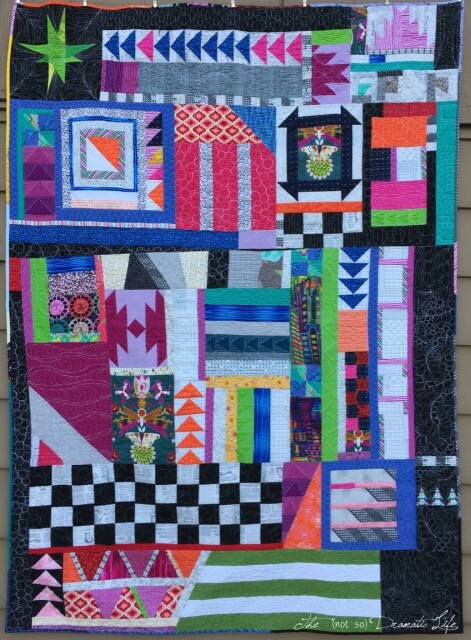 (I currently have no affiliate links) For the class, we each brought a bin of scraps along with a larger piece of our signature fabric and two other pieces of fabric. 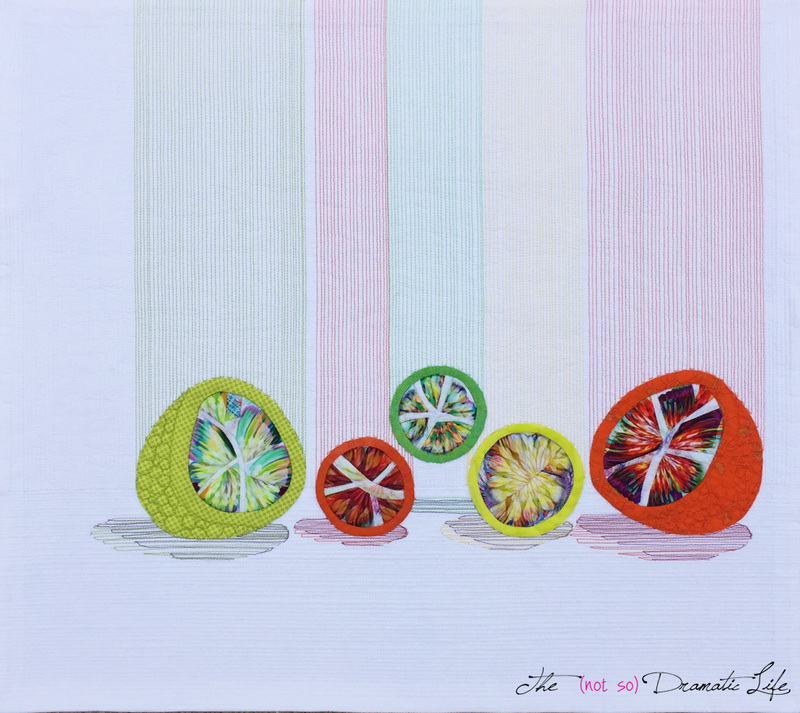 For my signature fabric, I selected the colorful Alison Glass print shown above. I loved the print, and I thought it would be fun to have a piece that held lots of opportunities for fussy cutting and had plenty of colors that would coordinate with a variety of fabric types. The round robin format meant that we each worked on every quilt top in our group of six. Our scrap bins, along with our other fabrics (except our signature material) get passed around the group in half hour increments. 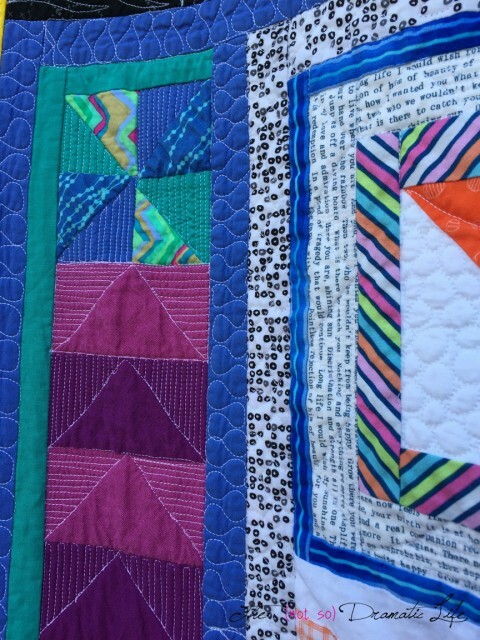 In the first time slot we each worked on our own quilt, using our signature fabric and any of the other materials we brought with us. To make this even more interesting, for the entire day, we weren’t allowed to use any rulers or rotary cutters- scissors or tearing were our only fabric cutting options! Time limits are a fact of life in theatre- Over the years I have learned to do the best possible work in the time allowed. 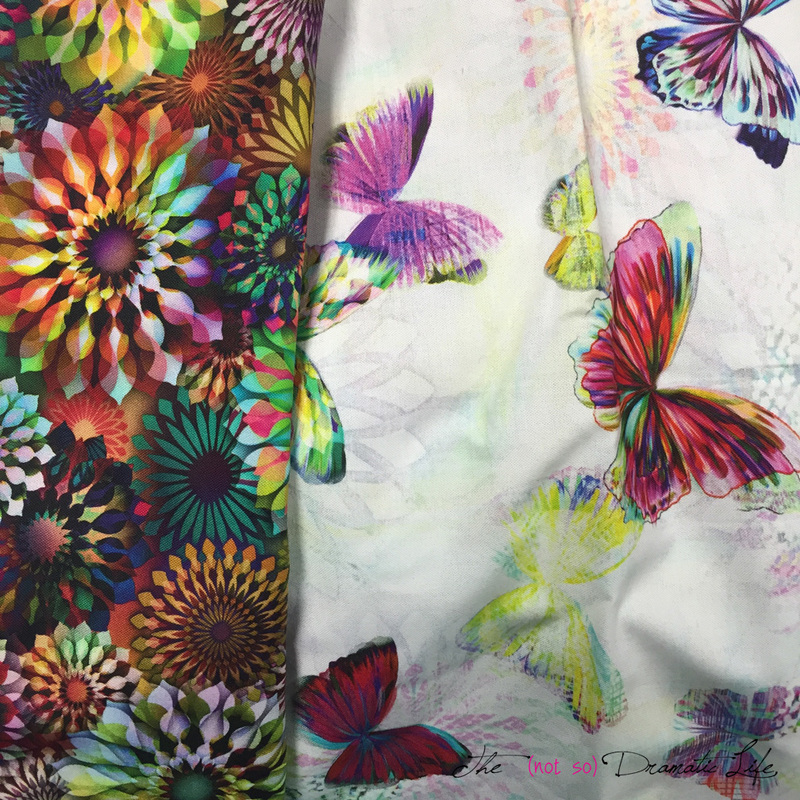 As we went through each top, I fell into a rhythm where I looked through the fabric in the first minute or two and determined how to incorporate my signature print. 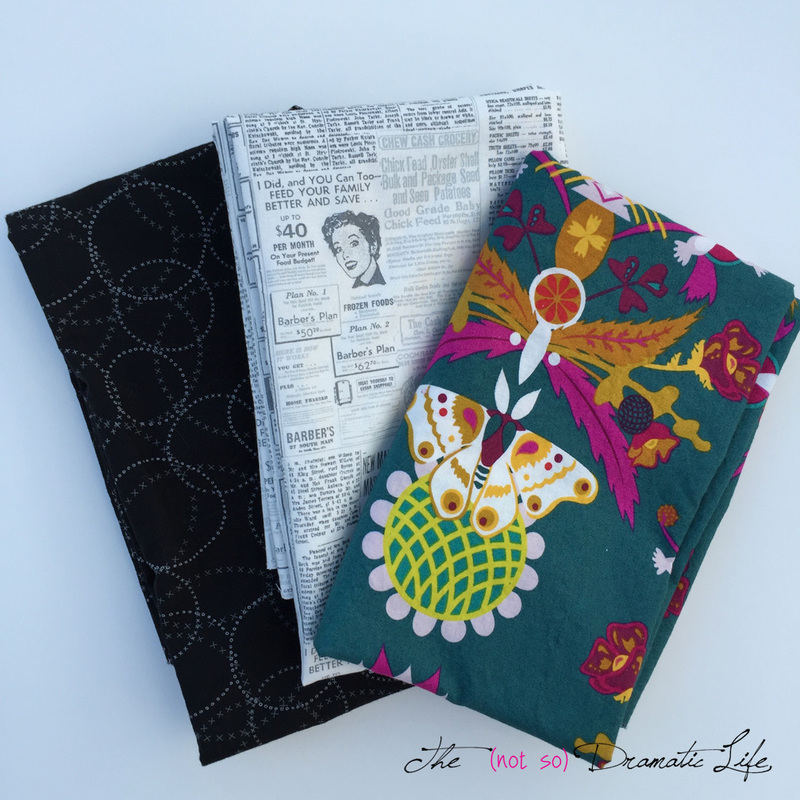 My signature print went really well with some fabric collections, but not as well with others. Fortunately, we could use any amount of the signature fabric, and my material had lots of different colors that did help it to tie in with various color schemes. I found it really helpful to have a print conducive to fussy cutting because it gave me a jumping off point, and then I could design on the fly for the rest. I tried to not let the lack of rulers limit the designs I used. 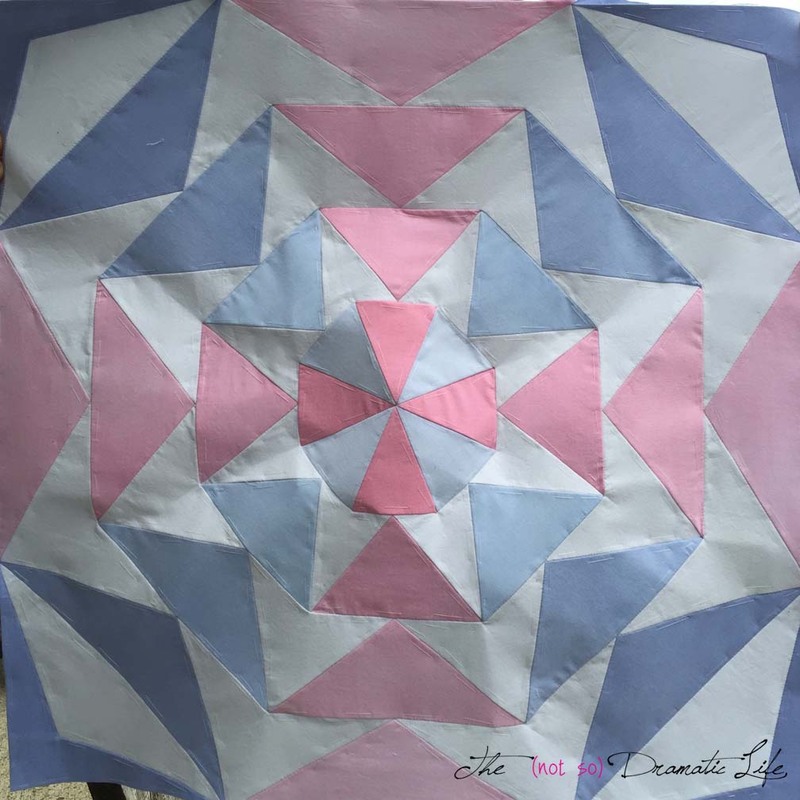 I made half square triangles (HST) by pressing (instead of drawing) a diagonal line across a square and stitching on either side, and made flying geese in a similar manner to how I would normally approach the task. 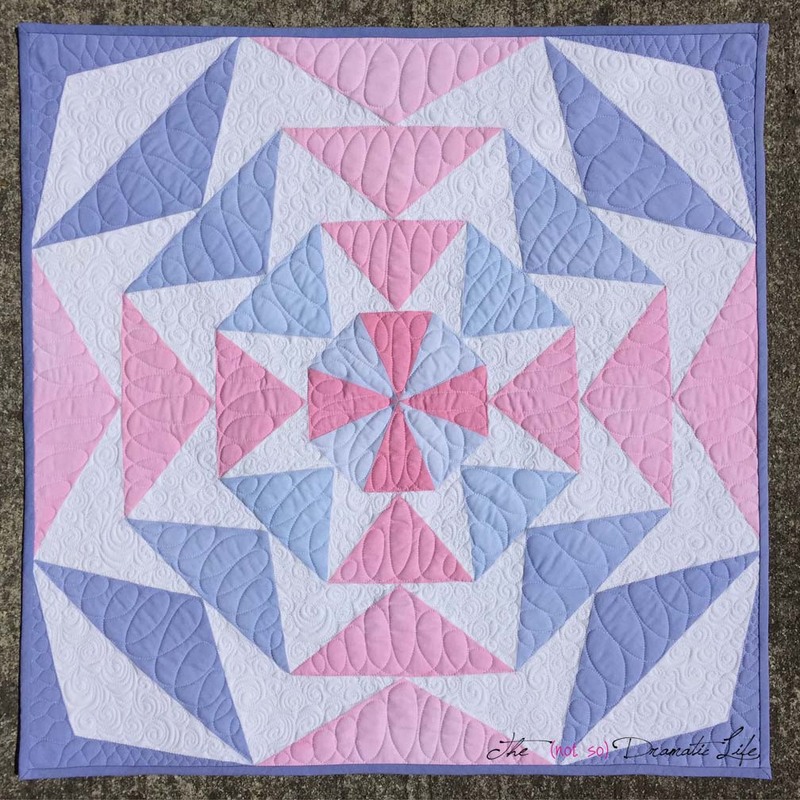 I tried to not let the fact that it wouldn’t be perfect deter me from trying different designs, and I ended up making variations on lots of traditional blocks including log cabins, pinwheels, flying geese, churn dash and wonky stars. I wish I had taken photos of everyone’s project, but in the heat of the moment, I was much more focused on just getting my contributions finished! 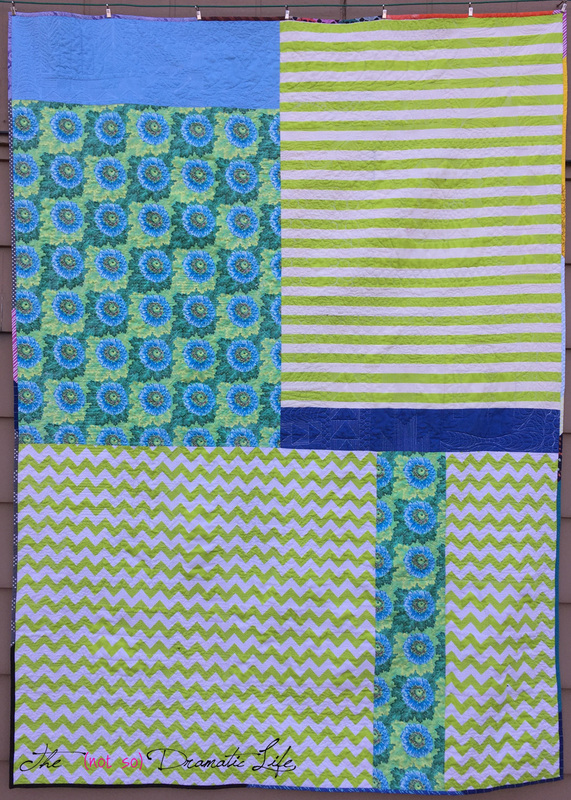 By the end of the day we each had a top that was a bigger than a mini, but smaller than a lap quilt, so I went home and added to mine to create a generous lap quilt. I stuck to the no rulers or rotary cutter rules and tried to work at a similar pace to what I had done during the class. The backing is constructed using several different fabrics, but these were all larger pieces than those used on the quilt top. 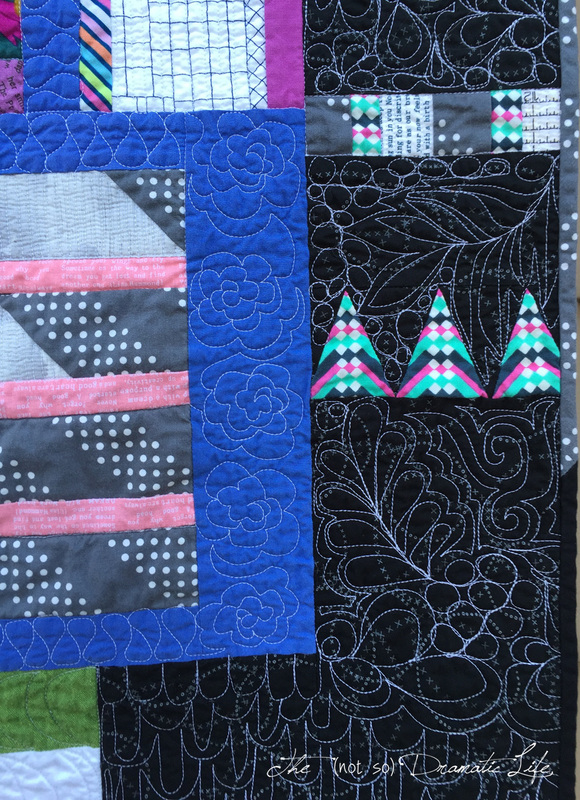 In keeping with the spirit of the class, I did the quilting with no rulers and tried to move quickly while embracing a wide range of designs. 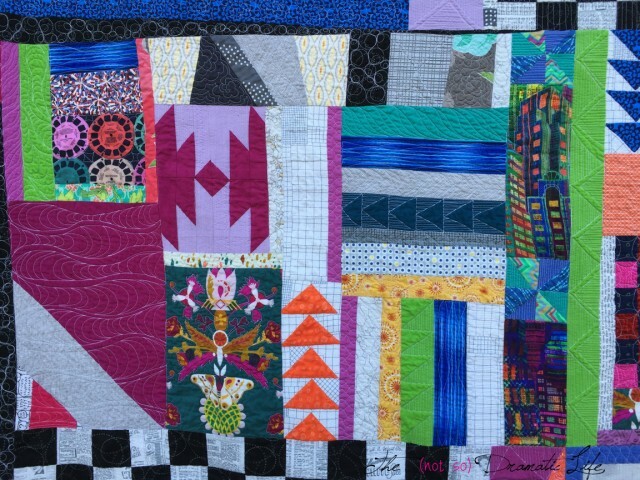 The binding is created exclusively from my collection of binding scraps that I connected randomly and continue the improv feeling all the way to the edge of the quilt. I cannot recommend this type of class enough- it was so much fun! If you are in the Columbus, Ohio area this class is being offered again in March at Quilt Beginnings. 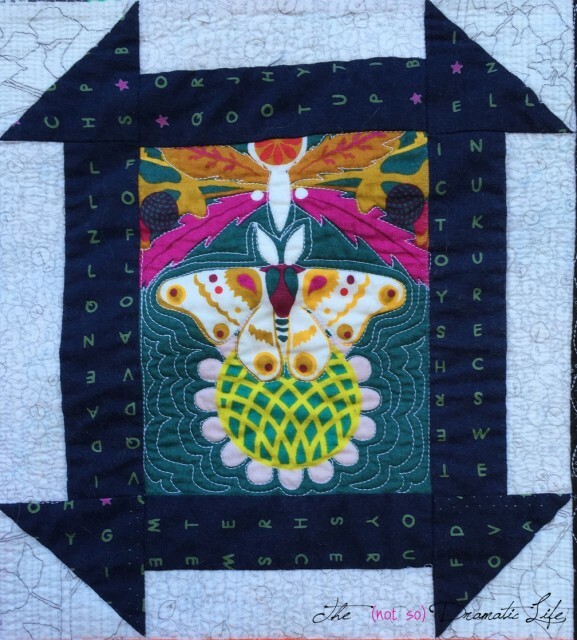 It was a great opportunity to move out of my comfort zone and work collaboratively with a wonderful group of quilters. My works in progress list is extensive, and I have been a bit undecided on what my one goal for this month should be. Ultimately, practicality is winning out. 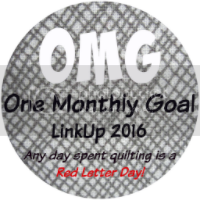 February is a short month that also will include a trip to QuiltCon, so the project I will complete this month is my Improv Round Robin quilt. This project is a generously sized lap quilt that I started in a class last October and quilted shortly thereafter. To finish this one up, I just need to square it up and bind the edges. Hopefully I can manage that!